Let's be honest. 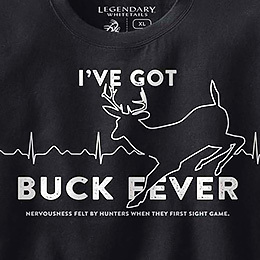 When don't you have buck fever? 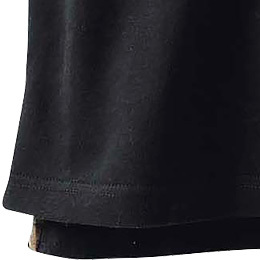 With this tee, you'll always be able to let people in on your condition, and how proud you are of it! 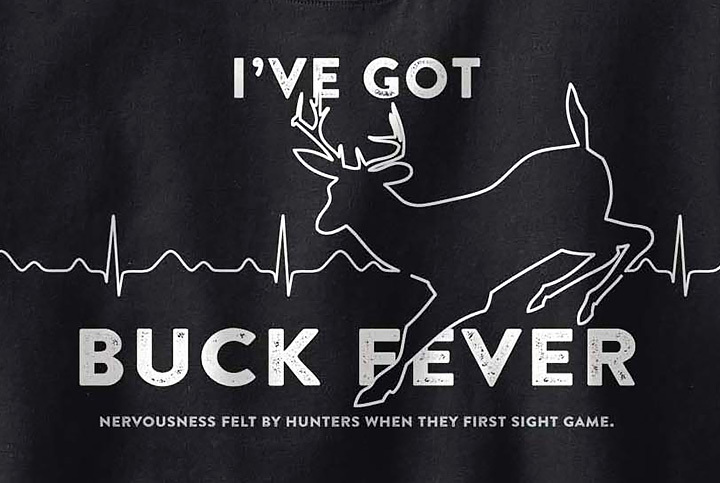 If you've got buck fever, then the only prescription is this tee shirt! 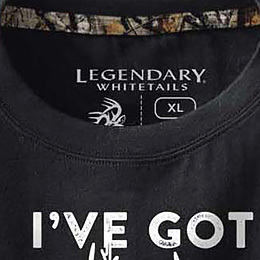 Made from jersey cotton, this comfortable short sleeve tee captures the passion for the hunt with its exclusive custom screen print graphic. 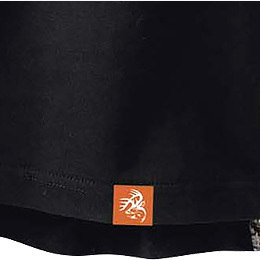 Features tagless label that eliminates scratching and Legendary® Signature Buck label at its hem.